Hair Fairy Essex has made a breakthrough in the industry since it’s founding in 2004. 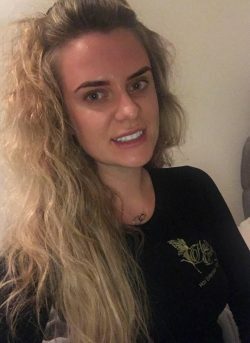 Established on the foundations of dedication and commitment, Hair Fairy Essex provides an exceptional hair extension service and expertise to a wide range of clients, who travel from all over the globe to have hair fitted by us. We are a home based salon, this means we do not have the high overheads of high street salons, allowing us to provide luxurious hair extensions at a more affordable price in a relaxed and friendly environment. Due to popularity of hair extensions, many salons and freelancers have started to offer hair extensions. But there are only a few that can be called Hair Extension Specialists. Unlike many others that offer hair extensions, that may fit a few sets a week or even month, we fit hair extensions everyday, day in, day out, and therefore we have become experts in the field. We only work with the best suppliers of the highest quality human hair, and in our years of experience using better hair will save you time and money in the long run and ensure your extensions look amazing every day. Choosing a hair extension technician can be a daunting prospect and if you are new to extensions you’ll probably have lots of questions. We offer unlimited free advice, before, during and after your extensions. We will happily chat with you about any worries you may have and answer any questions honestly. Take a browse through our FAQ’s where we answer all our most commonly asked questions. We also offer free consultations with no obligation to book in. Our expert technicians use their skills and knowledge to determine which method would be best for you, how many bonds, or the amount of hair needed to achieve your desired look and thickness. 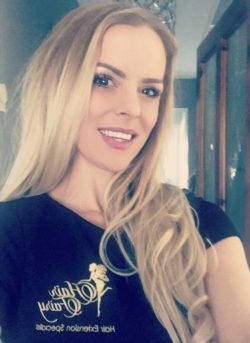 At Hair Fairy Essex our team of hair extension professionals are here to address all your hair extension needs, making sure you walk out satisfied and feeling like a princess. Over the years, our company has expanded it’s selection of hair products as well as the brands we work with. Visit our online shop for a chance to view our full selection.